When I saw the poppy fields, it reminded me of Monet's painting : Coquelicots. 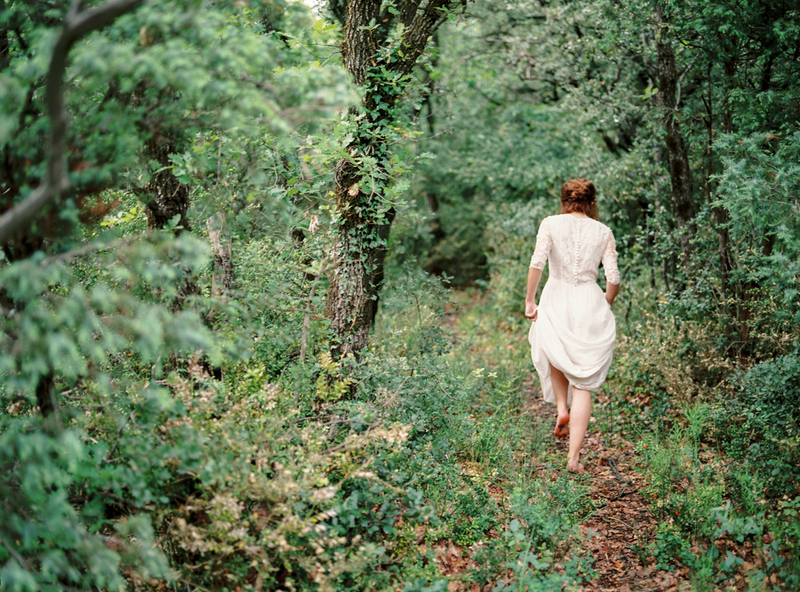 We wanted to create something romantic but quite wild at the same time as the location entices you to do. 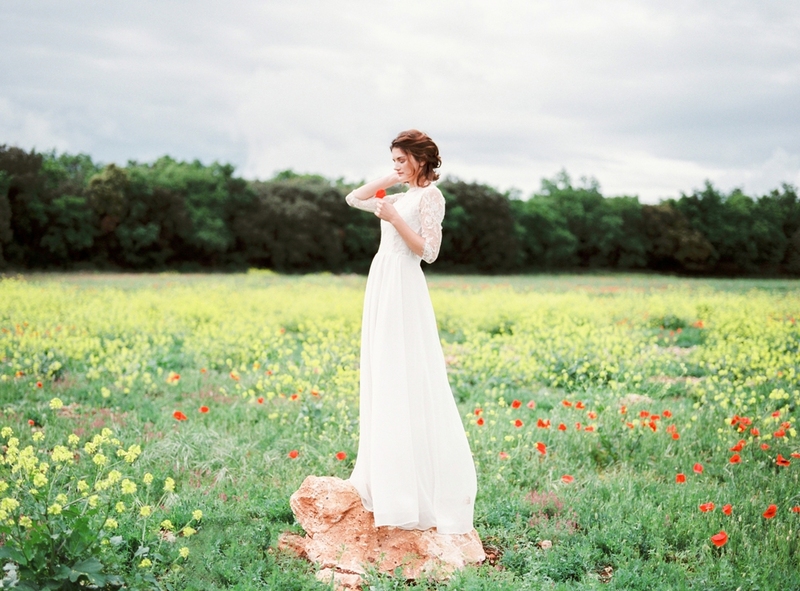 An elegant bride but carefree at the same time, you know. Here is how we turned our vision into reality. Would love to hear your thoughts about it folks ! 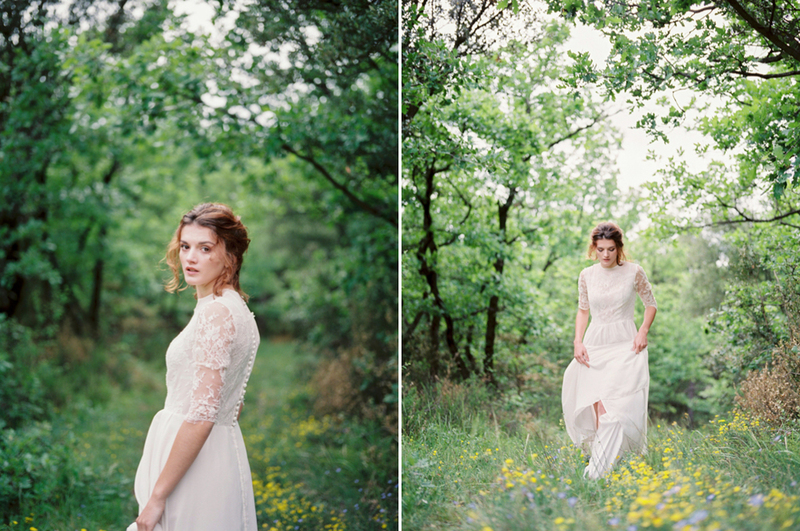 I consider myself lucky to be a wedding photographer in France because this country has so much to offer for the eyes, every countryside is a feast for my heart and eyes. 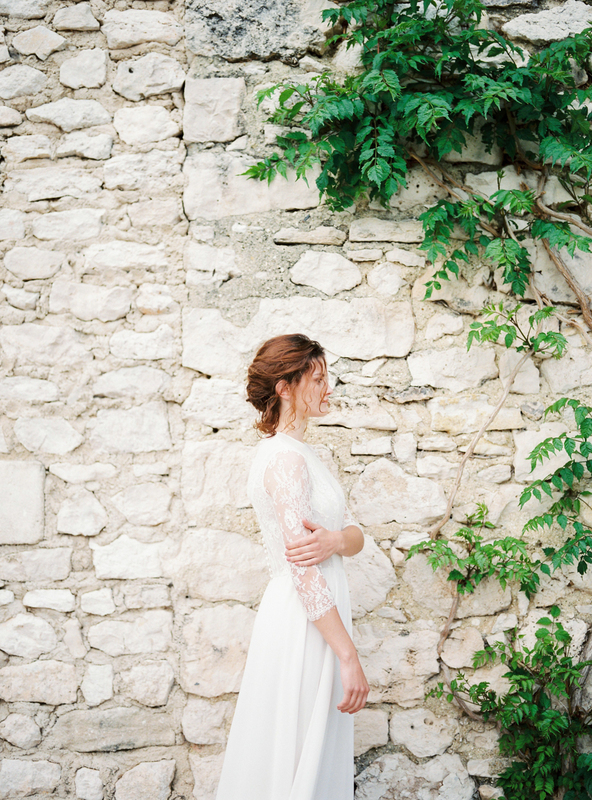 I must say that I have a soft spot for weddings in Provence. 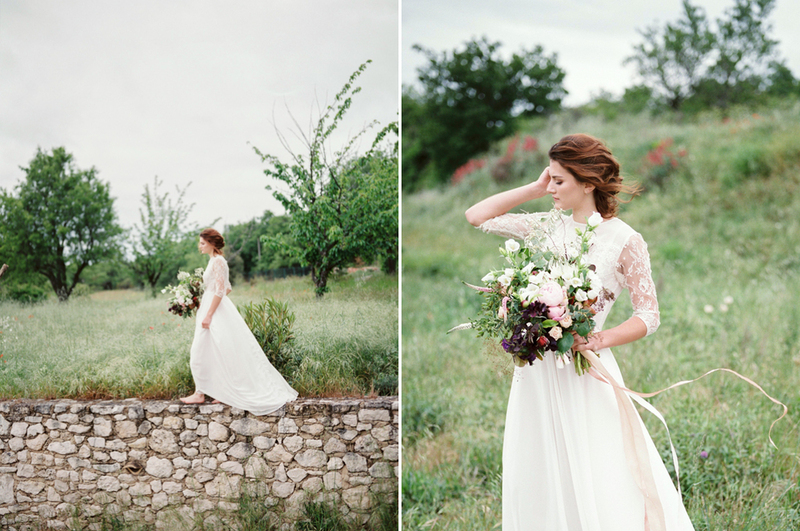 Provence always amazes me with its gorgeous light and pretty pastel color palette. 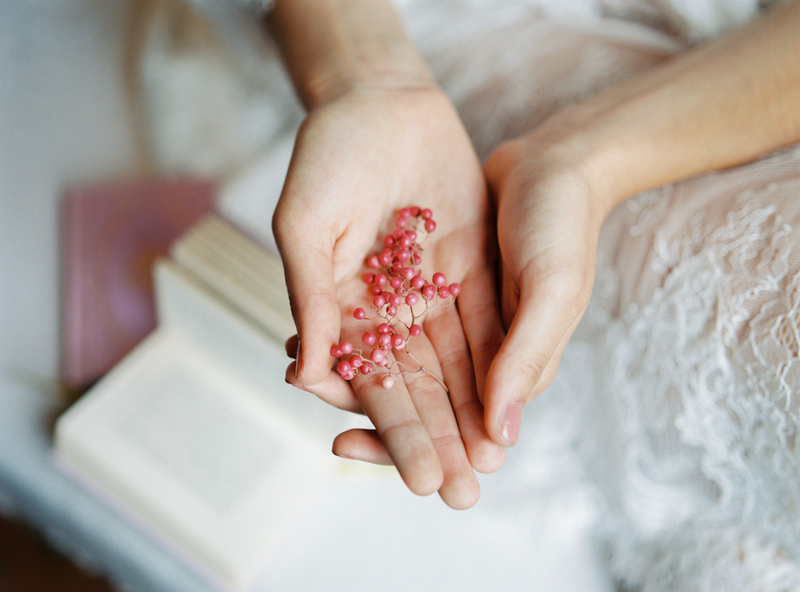 This styled wedding for Light workshop was no exception. When you add an incredible team of creatives to this gorgeous background, it can only be amazing. 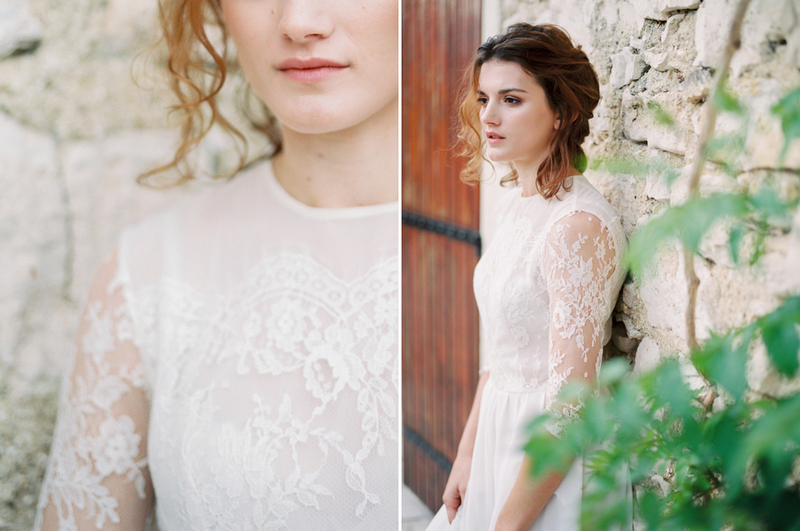 The bride is wearing a bespoke dress created by the ever-so talented Rime Arodaky. And the set up was created by the magic wedding planner duo Jennifer and Kerry at Lavender and Rose. They really did magic on that day as it was so so windy, eveything was blown away by the wind, but they still managed to create this gorgeous outdoor ceremony setting with the help of Laëtitia, florist (one of the best I know) who created an amazing cascading bouquet with Eucalyptus and Lunaria and the decoration of the stairs. Domaines de Patras. A little paradise nestled between olive trees and lavender fields, surrounded with horses and donkeys; it's a place where you feel at peace. Kéty and Eric, husband and wife and owners of this gorgeous Domaines will make you feel at home and believe me, you'd never want to leave! 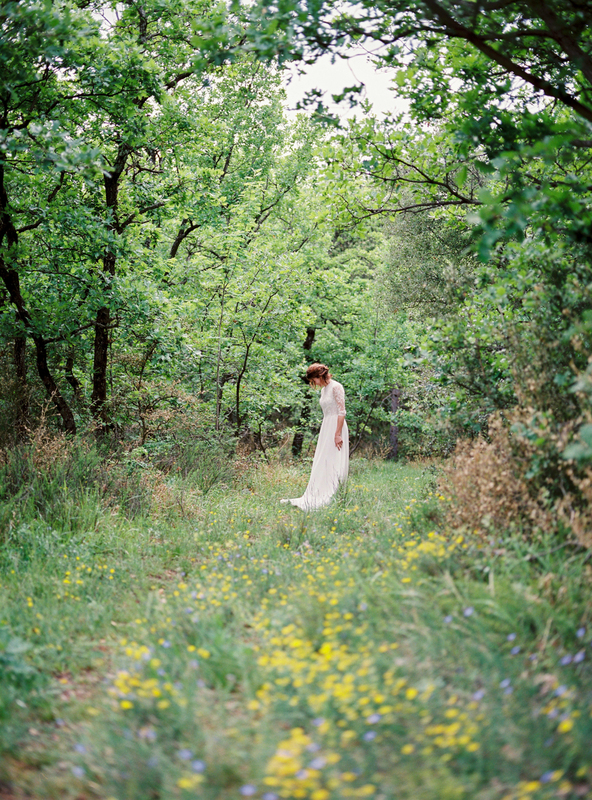 If you're planning on getting married in Provence and looking for the perfect place, look no further, this is the place where you want to be.